The governor and chief minister of Uttar Pradesh seem to be on a collision course. Governor Ram Naik has asked chief minister Akhilesh Yadav to abide by constitutional procedures while appointing the state's Lokayukta. He has communicated this through a press release on his official website. The press note, dated 25 August, says that the CM should consult the Leader of Opposition in the Assembly and the Chief Justice of the Allahabad High Court in the appointment of the Lokayukta. Accusing the CM of not following the procedures, the note says "The Leader of Opposition has informed the Governor that he and the Chief Justice of Allahabad never sat together to arrive at a consensus on the name of the Lokayukta." 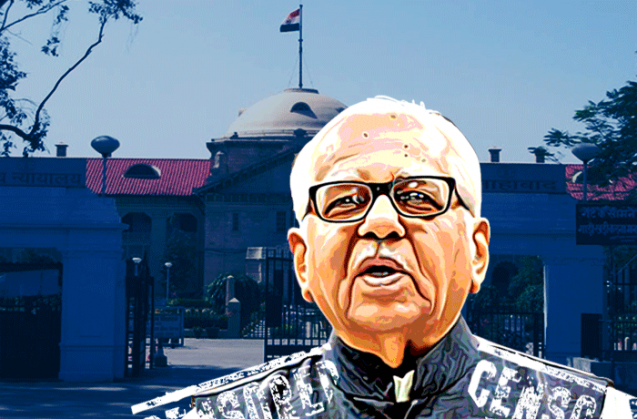 The Lokayukta's appointment has become a bone of contention between Naik and Akhilesh. The Leader of the Opposition in the UP Assembly, Swami Prasad Maurya, alleges that Akhilesh has acted in an unconstitutional manner. "I should have been consulted. But I was never consulted. Akhilesh Yadav is pushing just one name, That is unconstitutional," Maurya told Catch. The post fell vacant after NK Mehrotra retired from the post. He had held the post for nine years. On 5 August, the Akhilesh recommended the name of Ravindra Singh, a judge who has recently retired, for the post. .But Naik has been rejecting the name. The file with Singh's name has moved between the governor and the government five times now. Apparently this has never happened before. "Akhilesh Yadav had promised a body to fight corruption....He should at least honour the constitutional post of the Lokayukta. But he has failed to do so," said state BJP chief Laxmikant Bajpai. "Generally the norm is that the chief minister sends at least three names to the governor for consideration. The governor generally approves the first name. But Akhilesh Yadav is only pushing the name of Ravindra Singh. The governor is right in rejecting his name," Bajpai added. He said that the chief justice of the Allahabad High Court has also raised objections to Ravindra Singh's name. "I can't disclose what the objections are. They are confidential," Bajpai said. There is a caste angle to this as well. Ravindra Singh is a Yadav like Akhilesh. It is clear that the Akhilesh Yadav government wants to appoint a Lokayukta of the Yadav community," said Brij Lal, a former director general of police in the state.